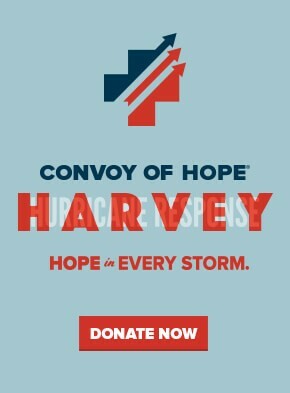 SRC is proud to support the mission of Convoy of Hope and its efforts to aid those recently affected by Hurricane Harvey. To show our support, we have made a $25,000 donation to the cause on behalf of the SRC companies and joint ventures. The amount of destruction Harvey has caused has a huge financial impact on the individuals in its wake. We are honored to be able to aid in a time of tragedy to help individuals and communities rebuild.